Hamsters and degus are both very popular pets that are owned by many pet owners around the world. However, they do have very different tastes in food, life style and habitation. It is tempting to put them together and to see if they can get along. So do hamsters and degus get along? Degus are at their best when they associate with their own kind. However, if there are animals which they are expected to get along with. It is rabbits and chinchillas that get along the best with them. Hamsters, particularly, Syrian hamsters are solitary animals and don’t like to live alone at all. They will not react well to a degu living in its space and may try to attack it. This will not end well for the hamster in this case as degus are much larger in size and stature and stronger than them. Can Hamsters and Rats Play Together? Hamsters and rats are both from the same rodent family and with this they share some of the same major characteristics. Like all rodents, they both have enlarged, chisel-shaped upper and lower front incisors. These grow throughout their lives and they have a similar appearance up to a point. However, this is where the similarities end. Hamsters and rats are very different personalities and do not react well to each other. It may seem a good idea to put a hamster (even a Syrian) with a pet rat so as to save space and to reduce the amount of time spent cleaning cages, restocking food and water bottles but these two types of rodent pretty much aren’t the best of playmates. In fact any plan to put these two species together is likely to end badly for one or the other, probably in this case, the hamster. Most hamsters are solitary creatures and do not get along well with other breeds of hamster of either gender. The Royal Society for the Protection of Animals stated that other animals should be prevented from accessing them or their cage. Hamsters can find the presence and scent of other animals in the home stressful. Other animals in the home to be prevented from accessing them or their cage. Hamsters can find the presence and scent of other animals in the home stressful. 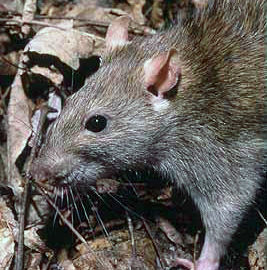 Rats on the other hand are very social animals and have an unusual intelligence. They enjoy living with each other and don’t have a preference in living with other species of rat. This is very unlike hamsters who are very particular in this regard. They love to interact with each other and hate living alone in a cage. They enjoy grooming each other and will rarely do damage to each other if they get into a fight. Their fights are more for dominance in the cage than anything. Rats therefore love to live with other rats and thrive on companionship. They would much rather live with another rat than with a hamster. Rats are easily introduced to each other and there are some good processes that can be carried out to make the whole thing much easier. So if you have both a rat and a hamster as a pet, then it is much better to keep them in separate cages away from each other, in separate rooms if possible. Even if they are in the same room they will become agitated and unsettled as they will be able to smell each other and hear each other. Letting them play in the same vicinity out of the cage is therefore a definite thing to avoid even if the hamster is running around in a hamster ball. They may be able to share similar food but that is where the sharing ends unfortunately. Can Hamsters and Chinchillas Live Together? If you are short of space but have small pets, then the thought of combining the homes of the two pets seems a tempting thought. Often, certain pets share certain characteristics and temperament and so can get along quite well. But in the majority of cases, putting two different species of animal together is not a good idea. So it is a good idea to investigate if they are socially compatible. In this case is it a good idea to put hamsters and chinchillas together? To begin with what are chinchillas and where can they be found? Chinchillas get their name from the part of the world where they come from which is the Andes mountains in South America. They are not particularly native to a certain country, merely across the geographic area of the Andes. They were named after the indian tribe of the same name. The tribe were famed for hunting the creatures and using their fur to make into clothing. Just like hamsters, chinchillas are rodents and so share the same need to chew so as to grind their teeth down and stop them from overgrowing. If they don’t have food to chew on then this can very much harm their health. They are crepuscular creatures which means that are active more during dawn and dusk and during the night. They need to eat good quality hay which needs to make up the majority of their diet. Hay should be available at all times for them and is also what they use to grind their teeth. They also need hay to function properly and they naturally eat grasses, twigs and leaves when they live in the wild. 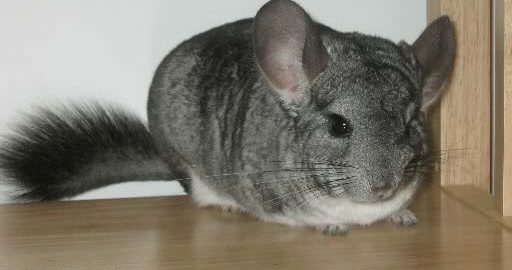 They need a small amount of grass-based chinchilla pellets each day as well. They also need root vegetables such as carrots and leafy greens along with grains and dried fruit. However these foods should only be in small amounts which they have as treats. They cannot eat foods that are high in fat, calcium, phosphorus, salt or acidic content. Compared to other types of rodent, chinchillas can live for a remarkably long time. In their natural habitat they can live typically for between 8 to 10 years. But when they are in captivity their life spans lengthens to between 15 to 20 years. How do they get along together? Thy are social animals who are happy to get along with other chinchillas, even those that belong to other families. However, it is cautionary to put two chinchillas of the same gender together so they done reproduce together. They can also be quite territorial if there is a very dominant chinchilla. So because of this it is advisable to keep them in separate cages to stop them fighting if you see this happening. Hamsters do not live as long as chinchillas. 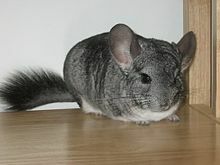 They live for between 2-4 years which is much shorter than a chinchillas 15-20 years. They do not need to eat hay like chinchillas do. However, they do need things to chew on as like chinchillas the teeth of hamsters are constantly growing. Hamsters tend to be quite solitary animals and so do not react well to other animals being in the same vicinity. At the very most, it should be hamsters of them same kin, let alone the same species. If they are left alone with other hamsters not of the same kin, they will set about each other. They will do this until there is a victor and one is killed unfortunately. So can hamsters and chinchillas live together? Although Chinchillas generally get along with other chinchillas, they are quite a dominant species. Even when two cages are placed side by side with another animal in the cage they will exhibit dominant behavior. This will be their attitude towards the other animal until they realize the animal is not a threat. As a result of this, hamsters and chinchillas are very unlikely to get along. It is not advisable to put them together under any circumstance. This is because they have completely different personalities which do not mix well together. If you do have both species of pet, then it is advisable to keep them in separate cages and do not let enter each other’s territory. At the very most they could be in the same room as each other in different cages. Eventually, once they are used to each other, their cages could be adjacent to one another. But nothing further is advised. Can Hamsters And Chinchillas Get Along? Although they are both rodents, hamsters and chinchillas are quite different creatures. They are quite distinctive and have their own personalities and are both much loved by pet owners around the world. They make great pets in their own rights and are popular in many different countries. A short tailed chinchilla can grow between 28 and 49cm with a tail length of 10cm. A Syrian hamster, which is the largest of the pet hamsters, can grow between 13 and 18cm. They do however, share similar physical characteristics because they are both rodents so they both have teeth which are constantly growing. This means that they both need be chewing and gnawing things constantly and just like hamsters. If they don’t chew to grind their teeth down, it will be very painful for them in the long run. This means that they need a constant supply of hay and chinchilla pellets to keep them going. They also need other things to chew on such as blocks of wood like maple, pine, beech and types of fruit wood. Their diet should also have some veggies added to it to supplement the chinchilla pellets such as spinach, endive, and escarole. Chinchillas are vocally quite quiet creatures. They have lovely soft and lush fur which has been the source of much delight for people down the ages. Indeed, chinchillas were almost wiped out from being hunted for their fur before becoming a more protected species. So how different are they from hamsters? Where as hamsters come from various countries in and and around eastern asia. Chinchillas come from the Andes mountains in South America where they inhabited the high mountain ranges. They enjoyed living amongst the rocks and crevices of that region and made their homes in the holes and caves in those places. When they want to be they can be vocal and will enjoy bouncing around their cage. Like hamsters, they are inquisitive creatures that like to explore. However they do have low spans of attention and so will move on from one thing to another very quickly. They can live quite long time and have been known to live anything up to 15 years. This is unlike the hamster who only has a lifespan of around 3 years. Because of their lively personality, they need a large cage so that they can jump around and play. They do not enjoy being handled a great deal and so an owner needs to build up trust with them so that they will let themselves be picked up. If they are handled too much, they get stressed very easily. Chinchillas enjoy cool environments, much like their native lands of the Andes. They do not enjoy heat or humidity and so need to be kept away from these environments as they have a tendency to overheat. Chinchillas also need a dust bath at least twice a week. What about playing or hanging out with other animals? There are some owners who have chinchillas who report that they have let their animals play in the vicinity of each other. Chinchillas are quite social animals that will usually get along with each other and are known to be with others in the wild. It is typical to get chinchillas as a pair or a three. They are quite territorial animals and enjoy their space. They will normally not enjoy another animal invading their space if they see that they are a threat. So can hamsters and chinchillas get along? Hamsters are quite solitary creatures that do not like the company other animals. Hamsters such as dwarf’s for example, only enjoy those of their own kind let alone other types of hamster. Syrian hamsters are far worse in this regard. They do not like the company of any other hamster including those of their own kind. They get very territorial and can lead to a very difficult situation if they are put with any other creature. This means that unfortunately hamsters and chinchillas wont usually get along. Of course, there are odd stories of these two species doing so but they are few and far between. Building a relationship between a chinchilla and a hamster requires a lot of attention, and training to ensure that there are no mishaps. But on the whole it is advised that if you have a hamster and a chinchilla, that they are kept far away from each other. Keep them out of sight and away from their vicinity so that they do not see each other as a threat. Can Hamsters Use Chinchilla Bath sand? They are constantly trying to rid themselves of dirt and grime. The way they do this by grooming themselves and pass on this ability to their young from an early age. Maintaining a good level of cleanliness independently of anybody else is very important to them. However there maybe occasions where they cannot clean themselves in a thorough way. When this happens, they cannot be bathed in water like some other animals can. This is because they can get sick very quickly if bathed in water. Unfortunately, they have been known catch cold and die because they have been bathed in water. There is an alternative though! The alternative is to do what chinchillas do and give them a sand bath. In order to do this, chinchilla owners can use dust or sand and provide a sand or dust bath for their pet. It is an essential part of the upkeep of a chinchilla. However, chinchilla dust is very fine and is unfortunately bad for the respiratory system of a hamster. So can hamsters use chinchilla bath sand instead? The good news is, they can use bath sand as it is not as fine as chinchilla dust and more suited to them. It may be labelled as hamster sand bath, chinchilla sand bath or just a general sand bath. It is a naturally abrasive substance which acts against the particles in the coat of the hamster. By rolling about in sand they remove these particles and also absorb moisture. In this process, excess oils on the coat and skin of the hamster are also removed. Hamsters use sand to cleanse themselves in the wild where water is scarce. It is available to be purchased from good pet stores, many of which may have a good selection. Make sure it is large enough for them to feel comfortable in. Pet stores will often sell these types of bowls or containers as well as online stores. Avoid bows that are made from plastic or wood. This is because they can easily chew through these surfaces quite easily. Porcelain or stainless steel bowls or containers are usually suitable. They really do not mind what shape of bowl it is. As long as they can clamber into it and can move around it without a problem. To use it, just pour out between three to five centimeters of bath sand into a container. Once the bowl is filled with the required level of sand, put it in their cage. Place it in such a way that they can notice the sand bath and are encouraged to start rolling about in it. What happens if they don’t like it? Hamsters may not like it at first but it is a method worth persisting with it. Once they try it, most enjoy it but some may not know what to do if presented with one. It is worth allowing them time to get used to it and to work out what to do with this strange new bowl of sand in their home. It is worth checking the sand bath on a regular basis if it is left in their cage for any length of time. It has been known for hamsters to mistake it for a toilet so it will need cleaning out regularly. So don’t leave it alone and include it in your regular cage cleaning routine. can hamsters and rabbits play together? So can hamsters and rabbits play together? can hamsters and rabbits live together? So can hamsters and rabbits live together? Unfortunately they cant live together. They are animals that both like their own space and do not do well living closely with other species. can hamsters and rabbits eat the same food? So can hamsters and rabbits eat the same food? Eating each others pellets isn’t a great idea, but there are vegetables that they can both eat that they will enjoy such as carrots, bell peppers and green beans. can hamsters and degu’s live together? So can hamsters and degu’s live together? Degu’s and hamsters are very different creatures in size and stature but also in their nature and so are not good cage mates when it comes to being kept together. They are much better when kept with their own kind. can hamsters and degu’s get along? So can hamsters and degu’s get along? Degu’s are much larger than hamsters and there is a risk that the hamster may get hurt if they are put in the same cage as them. Hamsters are mostly solitary and only respond well to living with their own kind.